This may be news to some young people reading this –“Anything does not Go”. In this age of “sloppy comfort”, that has been marketed very well by companies, to promote the idea of acceptability of these clothes. It’s a false claim, why ? –simple– profit. 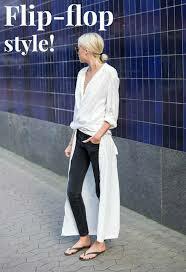 Sadly America has adopted this “casual” look for everywhere – but not in Paris. Not in Paris – here, you can wear flip flops to 2 places without creating a “fashion police crime” the beach (of course) and the pool. THAT’S it! You should follow these rules, for several reasons; in this city – sad to report – broken glass on the sidewalks is very common, so the likelihood of your foot getting cut is very high. And God Knows, if there was some disease on that glass…ugh ! 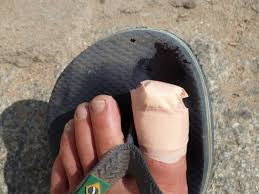 Also the flip flop has no protection for your foot – so its exposed to people stepping on your foot ( which they will do ) , being rolling over by their suit cases over your foot ( which they will do). Instead, bring a pair of walking shoes, or some nice sandals. 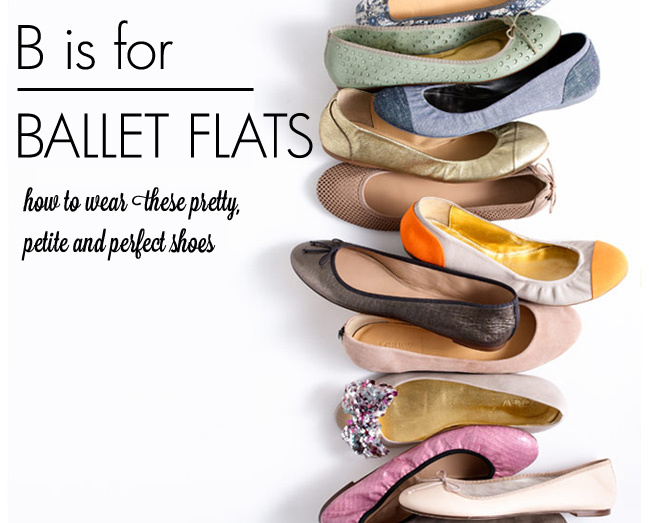 Or if you really want to look Parisian – wear ballet flats. This is something, I wear, but I also put inserts inside – to cushion the foot from all the sidewalk pounding. This will look more polished and more respective of the places you walk into. 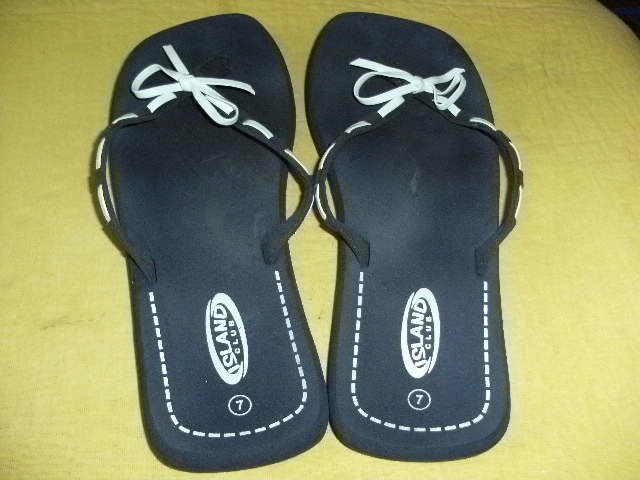 Here are my flip flops for the Pool – always kept in my pool bag – ready to go.. 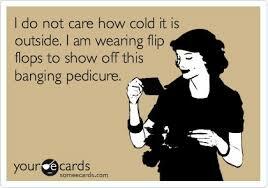 ALWAYS look better than a “flop “ !